It’s time to get all set for Coachella festival 2018 and we are very much excited as you all are. The indio music fest starts with a live music weekend from corners of the country which can simply mesmerize you. While you are flooded with different thoughts and question about the Coachella 2018 we have all your answers right here. From celebrity list, clothes, food, and drinks all you need to know is right here. The Coachella Valley Music and Arts Festival is an annual music festival held over two weekends at Empire Polo Club in Indio, California. The Coachella Valley Music and Arts Festival began in 1999 with two days in October. From the year 2001, it returned as a one-day festival and then scaled up to three days in 2007. Its first two-weekend stint was in 2012. 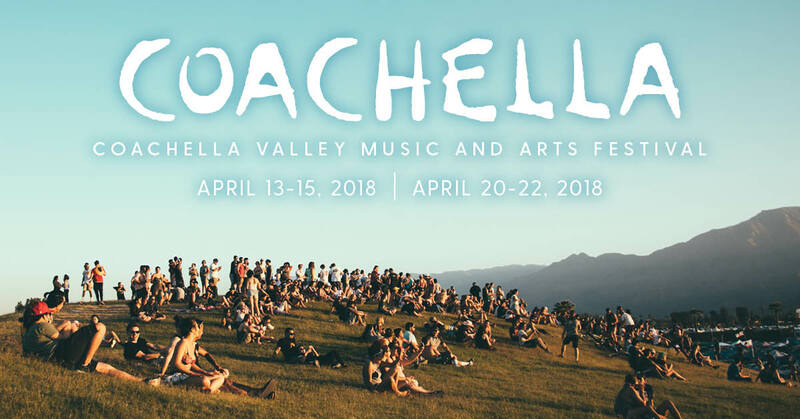 The festival will follow the same format as previous years, Coachella 2018 will be held on two weekends of April. Weekend one from April 2018, 13th – 16th and second weekend from April 20th – 23rd. The festival takes place at the Empire Polo Club, 81-800 Avenue 51, Indio, CA 92201.To find out this year’s line up and major attractions about the fest turn to the next page.